Luxembourg-based flexible foams and insulation supplier Armacell has acquired Guarto SRL, an Italian manufacturer of acoustic insulation solutions, and Guangdong De Xu Insulation Materials Co. Ltd, the producer of Sinoflex flexible elastomeric insulation foams in China. Terms for both purchases were not disclosed. 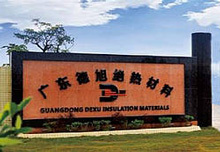 Meanwhile, De Xu, which operates from its Yingde facility in the province of Guangdong in Southern China, has been selling and manufacturing insulation foams since 2013 and provides a comprehensive range of products for major construction projects in Southern China, including elastomeric insulation for HVAC as well as heating & plumbing and refrigeration systems.